For our latest instalment in the London’s Best Commuter Town series, we look at the county of Bedfordshire. The area has become an increasingly popular place to relocate to for workers from London, helped in part by its affordable housing – a big attraction for young professional couples wanting to get their foot on the property ladder. Furthermore, as Bedfordshire is slightly further away than other commuter spots such as Surrey or Hertfordshire, ‘Beds’ provides great access to the countryside (such as the Chilterns and Dunstable Downs) and other parts of the UK like Cambridge and Oxford. Indeed, accessibility is a big plus in Bedfordshire; the county has its own international Airport in Luton as well as major roads such as the A1 (London to Edinburgh) and the A5 (London to Holyhead). In terms of commuting, Bedfordshire has three main rail services, so residents never feel too disconnected from the rest of the country despite being able to enjoy a more laid back and rural lifestyle than living in London. Starting off our exploration of Bedfordshire commuter towns, we look at one of its largest towns: Bedford. The furthest north of London from any of our entrees, Bedford is 51 miles away from Charing Cross. But due to the strong transport system which Bedfordshire is known for, getting to London St Pancras takes just under 40 minutes by train. As a place to live, Bedford is well liked for its green, open spaces which provide residents with a pleasant, outdoors lifestyle. Bedford Park is the town’s largest park and still contains some of its original Victorian features such as the bandstand and cricket pavilion. And if sports are your thing, Bedford is also home to four Rugby Union teams! A little further out is Priory Country Park which is a fantastic rural space full of meadows, woodland and nature trails and has been awarded a Green Flag Status by Keep Britain Tidy. There is also a strong sense of community in Bedford which is home to two popular festivals. Continuing with the outdoors theme, the town hosts an annual International Kite Festival and a bi-annual Bedford River Festival, which is the second largest regular outdoor event in the UK after Notting Hill Carnival. 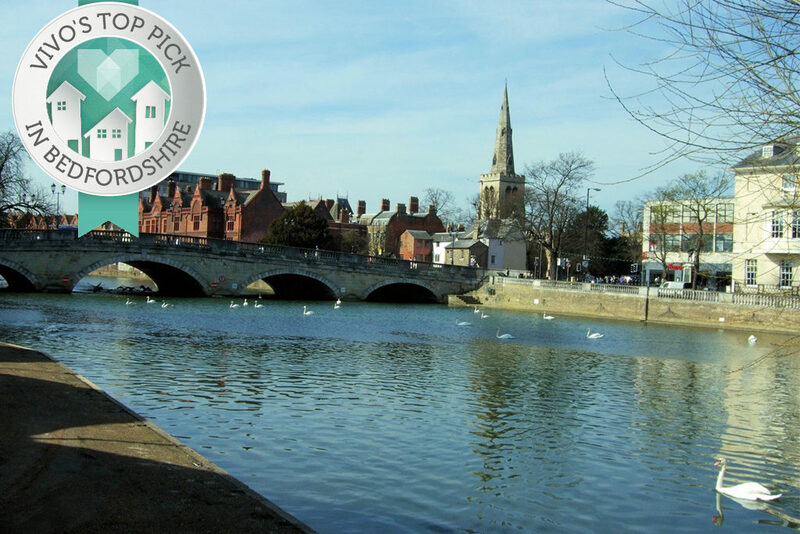 With Bedford being situated on the River Ouse, there are plenty of water based activities to partake in such as kayaking and canoeing, plus some of Bedford’s most desirable housing is situated by the river too. The average house price in Bedford is just under £300,000 which is surprisingly less than the county’s average, despite being a popular place to live. What’s more, the average annual train ticket is around £4,500, which is slightly cheaper than rival commuter towns such as Sandy and Biggleswade. The value for money that Bedford offers is perfect for families looking to upsize to a larger home with a garden. What also makes Bedford an attractive option for those looking to raise a family would be its strong schooling system. The town has two acclaimed independent schools, the Bedford School and Bedford Modern School as well as strong local state schools such as the Sharnbrook Academy and St Thomas More Catholic School area. The impressive education system in Bedford extends to tertiary education, with the town being home to the University of Bedfordshire. Overall, Bedford is a fantastic place to live if you’re looking for an outdoors lifestyle and high quality of life. It has a welcoming community atmosphere and is well connected to the rest of the UK, so it’s not too London-focussed. If you’re not looking to move too far away from London (such as Bedford), Luton may be the right commuter town for you. Whilst the town does not enjoy the same esteemed reputation as the likes of Bedford or Leighton Buzzard, it does offer great value for money and is extremely well connected to the capital. This makes Luton a great place to live for young professionals that are looking to get their foot onto the property ladder, particularly as the average house price is just over £240,000, which can get you significantly more than most parts of London! Furthermore, you are only 24 minutes away from London St Pancras by train, so Luton residents can enjoy a shorter commute than many people living in The Big Smoke. Annual train tickets are just over £4,000 which is the most cost-efficient of any commuter towns in this series, while for regular international travellers, Luton has its own international airport. In terms of desirable areas to live in Luton, properties along the Old Bedford Road are the most popular. This area is situated just north of Wardown Park, which is an attractive open space with plenty of sporting facilities, a lake and Wardown Park Museum. In general, places in north Luton are leafier than in the centre and are popular places for families to settle down. If being close to greenery is an important factor in your decision to move away from London, Luton is also very close to the Dunstable Downs and the Chilterns, which is a designated Area of Outstanding Natural Beauty and perfect for family days out. In terms of education, the Cardinal Newman Catholic School and the Chalk Hills Academy are the highest rated, both of which are situated in the desirable northern areas of Luton. Therefore, if you are looking for good value housing, strong transport connections and to live within a short trip of open countryside or London, Luton may be perfect for you. If the reason you are looking to relocate from London is to move to a smaller town or village, Biggleswade is worth considering. 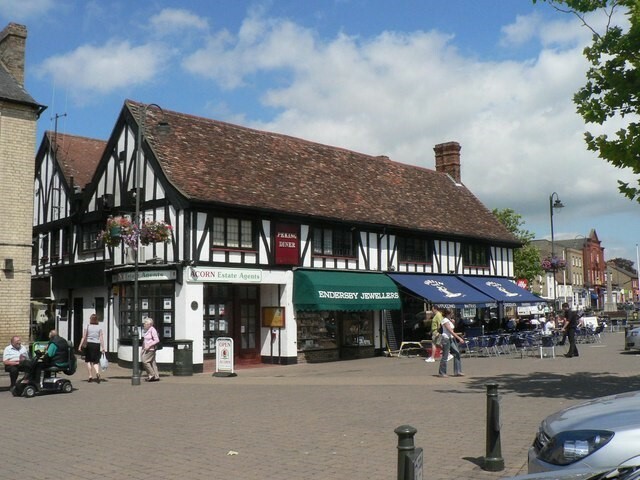 With a population of just over 16,000, the town is far smaller than the likes of Bedford or Luton, but this does not mean it is isolated or less well connected. Biggleswade is close to the A1 which has attracted commuters that travel by car in recent years, while a direct train to Kings Cross takes around 45 minutes. Annual train tickets are just over £5,500 which is more than previous entrants but average house prices are below £300,000 which makes it accessible to many. Furthermore, the town is growing which means there’s lots of new housing being developed currently so now may be the ideal time to invest in Biggleswade. The development of the town, such as a new retail park, does not detract from the independent feel of Biggleswade, with its array of local pubs and eateries. Residents in Biggleswade are fortunate as they can enjoy a quieter, calmer pace of life (helped in part by its rural location), whilst also having a major train line running through it. This helps residents to easily escape hectic London life but also be easily connected to work. Overall, Biggleswade is a great choice if you want to live in a small, close-knit community with an independent feel. For those looking to start a new family, the town is home to the highly esteemed Lawns Nursey School (a preschool) while the Stratton Upper School is highly rated for secondary education. We feel that the town is rapidly developing and becoming a great place for commuters. Another smaller, upcoming place to live in Bedfordshire would be the town of Sandy. Situated just to the north of Biggleswade and to the east of Bedford, Sandy has a population just shy of 12,000 which is a perfect change in environment from the enormity of London. Despite the town being 50 miles from London, commuting to London Kings Cross only takes 50 minutes. At £5,828, annual train tickets are somewhat pricier than Luton for example, but residents can benefit from its proximity to the A1 if you are looking to drive to the capital. Residents of Sandy can also enjoy a slower pace of life and a better quality one too, with its beautiful countryside surroundings. 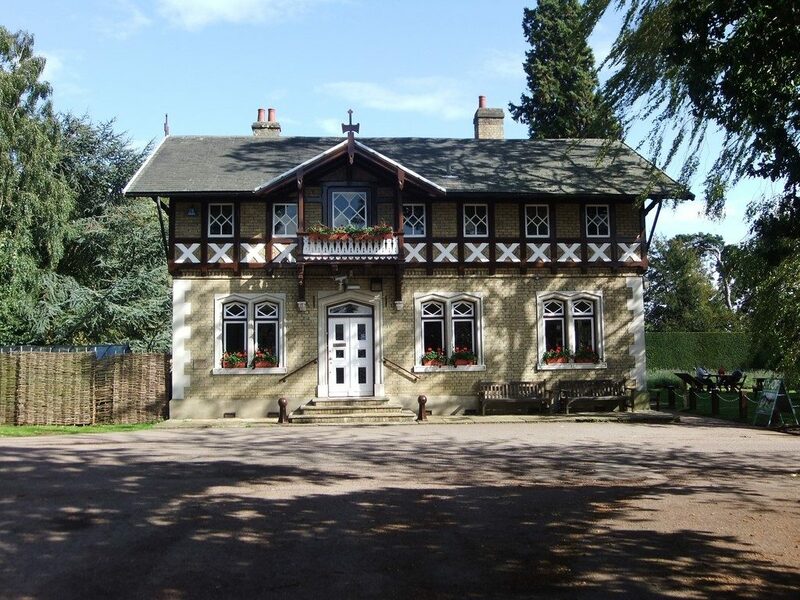 Sandy is well-known for being home to the Royal Society for the Protection of Birds (RSPB) which reaffirms its rural setting and how close it is to nature (their Swiss Cottage style office named ‘The Lodge’ is pictured above), making it perfect for woodland walks. Its nature reserve has over 100 acres of green space, which is ideal for the outdoorsy types. If spending time outside is a big factor in your next move, the town is just a stone’s throw away from the picturesque Sand Hills (which lends to the town’s name). In terms of education, Sandy’s proximity to Bedford sees many residents take advantage of their fine independent schools, while Sandy Upper School is a good choice if you’re looking for education closer to home. Indeed, the town is well suited to raising a family with an array of spacious post-war housing and the average house price being around the county average of £300,000. This town would suit those who prioritise space and a quieter lifestyle over amenities and nightlife. For our final Bedfordshire commuter town, we look at the mid-range sized town of Leighton Buzzard. Situated to the northwest of the Dunstable Downs, Leighton Buzzard is close to Buckinghamshire and Hertfordshire and is great for those that desire an outdoors lifestyle. The River Ouzel runs through the town as does the famous Grand Union Canal, which Leighton Buzzard is well known for. 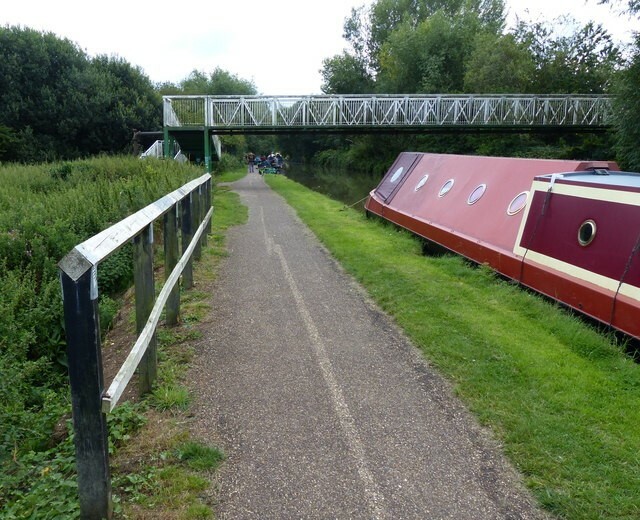 There is also a wealth of activity along the canal which residents can enjoy, from peaceful walks to fishing and waterside pubs. Despite its rural setting, Leighton Buzzard is still only a 35-minute train away from London Euston which makes it a perfect setting for potential commuters. Annual train tickets are priced at £5,256 but residents can enjoy a shorter commute than other parts of Bedfordshire, while the town is also close to the M1 for other transport connections. In terms of housing, average property prices are just over £305,000 and there is a lot of family housing for those looking to upsize or start one. Areas towards the north of Leighton Buzzard are the most desirable to buy in, including areas between Plantation Road and Heath Road – two main streets that run parallel to each other in the northern part of the town. Also in this area is Rushmere County Park, which features large green open spaces and woodland making it perfect for horse riding and cycling trials. Another attractive area to live in and around Leighton Buzzard would be Linslade – a nearby town which is increasingly becoming ‘part’ of Leighton Buzzard. It is a green, leafier area to the west of the Grand Union Canal where Leighton Buzzard’s train station is situated. In terms of education, Cedars Upper School to the south and Vandyke Upper School to the north are the highest rated. Cedars Upper School is situated close to Waterside Park, which is extremely popular with residents. It is a former sandy quarry that has been converted into a nature reserve, featuring wild flora and fauna, including a lake which stocks Wels Catfish. Overall, Leighton Buzzard is a welcoming town that has great access to the capital but also boasts beautiful surrounding countryside. It has retained is ‘small-town’ feel with bi-weekly Farmer’s Markets too so it does not feel over commercialised. We feel that Bedford encapsulates what people are looking for when searching for their ideal commuter town. It is far enough away from the capital to get a sense of detachment but it is still a relatively quick commute into central London and other places in the UK. 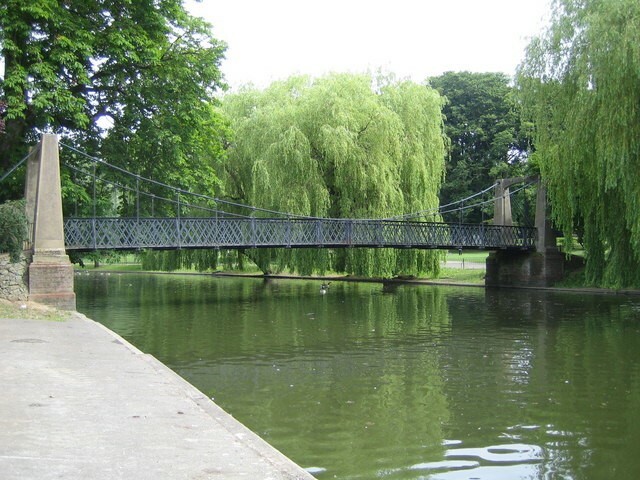 Moreover, the green space that Bedford is well-known for makes it an attractive proposition for Londoners, as does the community spirit found in the town with its annual festivals and parks. With Bedford growing in popularity with the commuter population, we’d recommend investing in a new home there soon!